I have a hard time stopping to celebrate success. 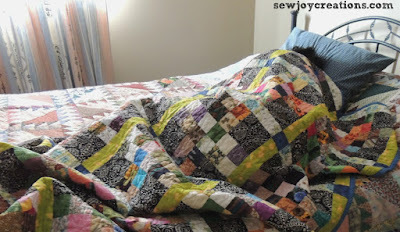 A finished quilt is definitely up there as a highlight for me - and yet. Well, here's one from Christmas in use. 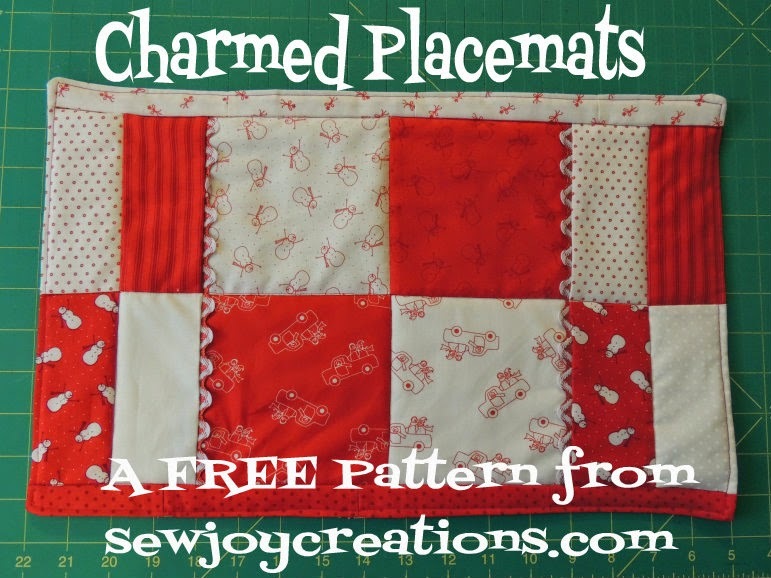 It really makes me feel good to make things that people use. I need to enjoy a finish and not glance immediately at my UFO pile! 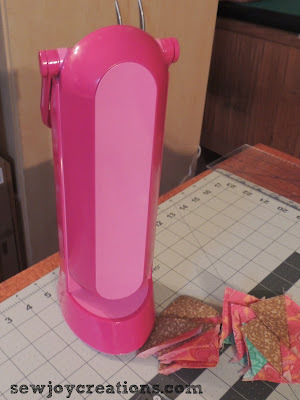 Part of me wants to make things to try out new ideas, but I always fall back into the story that it has to be useful too. For me and/or for others. 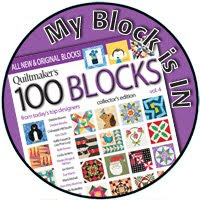 Look for me means to take stock at what I need to keep being inspired and making. 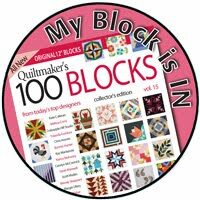 Christmas offered the time to buy some additions to my quilting space to make it easier to enjoy my quilting time. 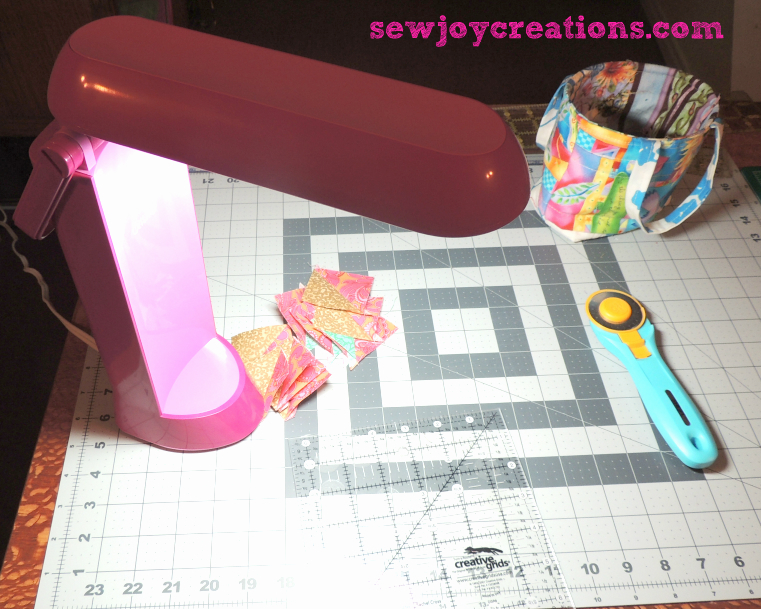 A pink task light is a great addition. I can move it around where I need it. So far it has helped me do some hst trimming late at night and to take some better lit photos. 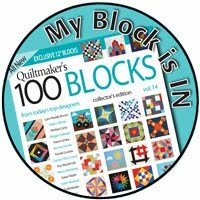 Looking around I realize how much my quilting space has grown this year. (It's changed a bit again!) It's always ready for me to walk in and work. 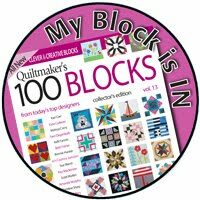 Having a dedicated place to quilt makes it easier for me to *flick the switch* and begin. When I wonder I listen deeply to myself. I turn off the devices and shut the magazines and I take a walk. I look to nature for inspiration. I look at the colors and the textures. When I stop listening to my inner critic I feel safe to play. 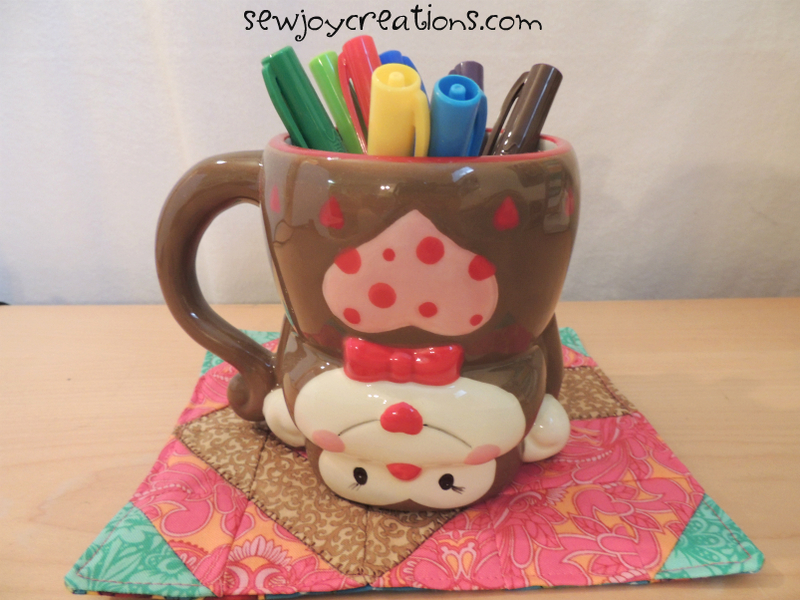 This week I'm blogging over at QUILTSocial.com with a tutorial for a Lucky Monkey Tail Mug Rug! Come see! 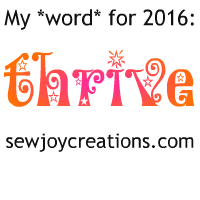 thrive....a good word....and a good post. I must admit I am way behind on blogs, this year seems to be zooming, maybe I should steal your word, and try to slow down a bit. 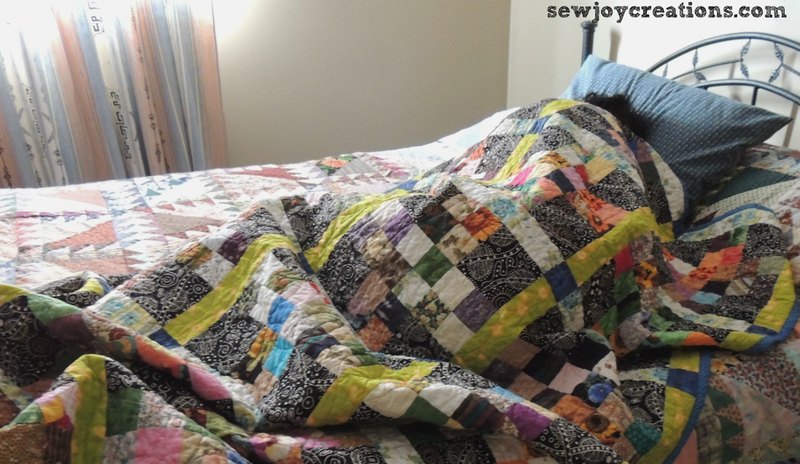 Loved your photo of your quilt being used and all snuggly - isn't that the best feeling?! 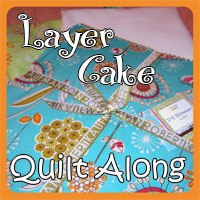 I'd love to see how you've switched things up in quilt area! 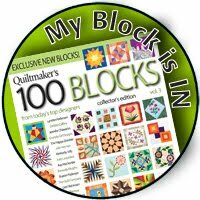 I try and visit you on Quilt Social. 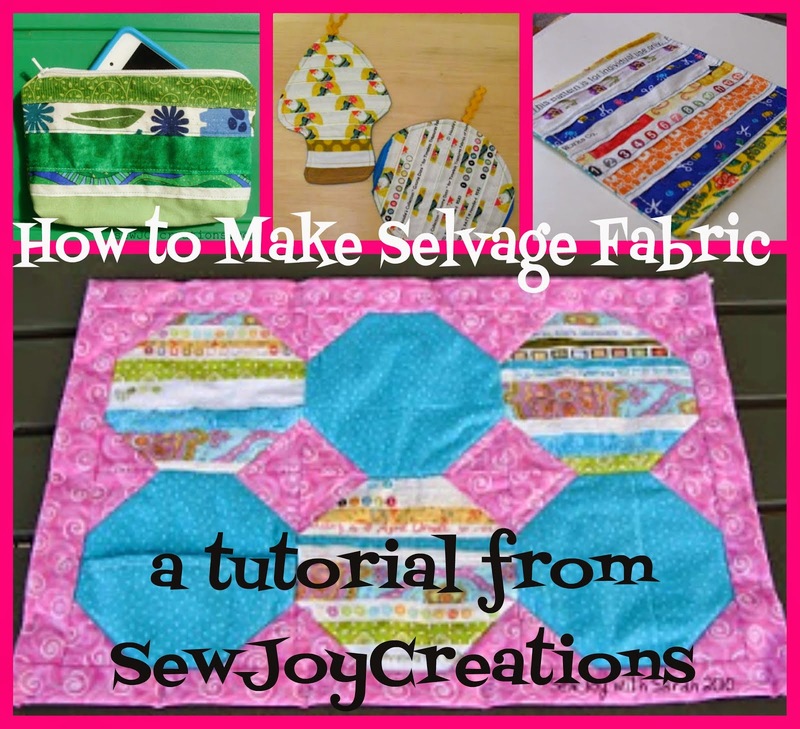 The selvage heart is beautiful and such a fun way to use strings.